Students with disabilities requiring special services should identify themselves and their needs to the Office of Accessibility Services, Office of Admissions, Education Center, or Graduate Studies Office as soon as possible after receiving notification of their admission to the University. 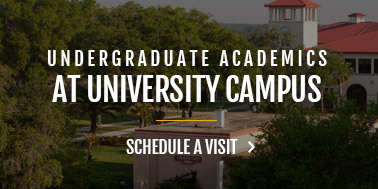 Students interested in attending Saint Leo University's traditional, residential undergraduate areas of study should refer to the section outlining admission information for University College . Students interested in attending Saint Leo University at one of our regional Education Centers should refer to the section outlining those procedures. Students interested in attending Saint Leo University by taking their entire classwork online through the Online Learning Center should refer to the section outlining those procedures. Students are classified as transfer students if they have previously registered at any other college or university as a matriculated student, regardless of the amount of time spent in attendance or credit earned. To receive individualized information regarding the evaluation of transfer credits, students must first apply for admission and submit the application fee. The Registrar's Office is responsible for the awarding of transfer credit and completes course-by-course transfer credit evaluations for all new transfer students. All students are provided with a formal evaluation recognizing transfer of credit, if applicable. When a student declares a degree program, the University prepares a Program Evaluation specifying the degree requirements needed to fulfill that degree program. Upon completion of the Registrar's evaluation, students will have access to their Program Evaluation and a Transfer Equivalency Report online via the Saint Leo Portal and eLion. The Transfer Equivalency Report shows all transfer work and non-coursework credit accepted from each school or organization. The Program Evaluation shows the specific degree requirements needed, what transfer work is applied, and courses left for degree completion. Students have 7 years to complete the degree requirements for an associate or bachelor degree and 5 years for a graduate degree in effect in the catalog year they matriculated under. 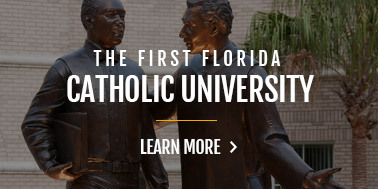 The University does not provide an official Saint Leo University transcript of transfer credit until successful completion of at least one course at Saint Leo University. A student must be currently enrolled or have completed 30 credit hours at Saint Leo University in order to continue to have transfer credit from other regionally accredited institutions added to his or her Saint Leo University transcript. No quality points are awarded for transfer credit. Saint Leo University is accredited by the Commission on Colleges of the Southern Association of Colleges and Schools (1866 Southern Lane, Decatur, Georgia 30033-4097; telephone 404/679-4501) to award the associate's, bachelor's, master's, specialist's, and doctoral degrees. Saint Leo credits should transfer to other regionally and nationally accredited institutions, but the final decision on acceptance of transfer credits and degrees earned at Saint Leo will be determined by the receiving institution. Saint Leo University recognizes transfer credit from regionally accredited institutions. Non-regionally accredited coursework may be considered on a case-by-case basis. Transfer credit is assessed on the educational quality of the learning experience; the comparability of the nature, content, and level of the learning experience; and the applicability of the learning experience in light of the student's educational goals. Credit earned more than 10 years prior to the date of application to Saint Leo University is subject to review when the transfer evaluation is done and may not be applicable to a current degree program. The maximum number of credits that can be transferred and accepted from community or junior colleges by Saint Leo University is 64 hours. Credit will be granted only for courses in which the student received a D or higher at a regionally accredited postsecondary institution. The associate of arts degree holder may earn a bachelor's degree by electing one of Saint Leo University's majors, satisfying all degree requirements, and completing a minimum of 30 credit hours at Saint Leo University, 15 of which must be in the major. Students who transfer to the University are not expected to complete the entire University Exploration (general education) courses for we recognize that other colleges and universities have legitimate alternative means of providing students with a basis in the liberal arts. Students transferring to Saint Leo University with an associate of arts degree in liberal arts will have University Explorations requirements met with the exception of the University Exploration Foundation courses and a religion course. Students who hold a bachelor's degree from a regionally accredited college or university will be considered to have satisfied all University Exploration (general education) requirements except a religion course for a degree from Saint Leo University. Such students may earn a bachelor's degree by electing one of Saint Leo University's majors, satisfying all degree requirements, and completing a minimum of 30 credit hours at Saint Leo University, 15 of which must be in the major. No quality points are awarded for transfer credit. Permission to enroll in courses at another institution of higher education will be granted to students only in one of the following situations: (a) if the course the student wishes to take is not offered by Saint Leo University, (b) if the student is in senior status and is required to take a particular course for graduation that is not scheduled to be offered during that student's senior year, or (c) if the student has met residency requirements but no longer has access to a Saint Leo University Center. Prior approval to take courses elsewhere must be sought by the student in order to ensure that the course credits will be acceptable to the University and, where appropriate, would be applicable to the student's degree requirements. The student must meet with his or her academic Dean, Regional Education Center Director, or OL Director, as appropriate, to request such an approval. 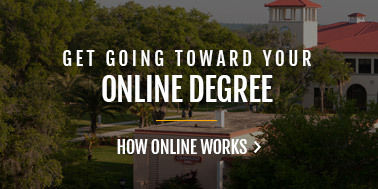 Upon completion of a course taken elsewhere, the student must have an official transcript forwarded from the other institution to his or her Center at Saint Leo University. Saint Leo University recognizes nontraditional transfer credit earned or validated through the methods listed below. 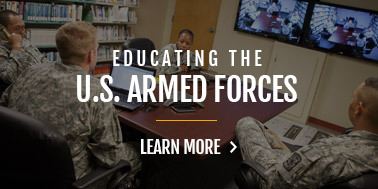 Credit for military courses and training may be granted, based on formal evaluation by the Registrar and credit recommendations in the guides to the evaluation of military credit published by the American Council on Education (ACE). The maximum limit upon this category of transcript credit is 39 semester hours. In addition to the University's Program Evaluation/Degree Audit, a Student Agreement (SA) is also completed, which shows previous college courses, nontraditional learning, MOS and military training courses, and national exams. Elective course credit for training may be awarded based upon individual evaluations of official criminal justice training certificates and/or transcripts. A total of 15 elective credits may be awarded for the Basic Police and/or Corrections Academy training where that training has received State approval. The Basic Police and/or Corrections Academy training will be calculated in the following manner: 1 to 200 training hours may be considered for 3 elective credit hours, 200 to 400 training hours may be considered for up to 6 elective credit hours, and 400 or more training hours may be considered for a maximum of 15 elective credit hours. Basic Police and/or Corrections Academy training hours cannot be used for anything other than elective credit. Additional elective credit may be awarded for other criminal justice training. This elective training is calculated in the following format: For every 100 hours of criminal justice documented training, submitted simultaneously, 3 elective credit hours may be awarded up to a maximum of 6 elective credit hours. In order to receive consideration for elective credit, students must submit a copy of the training certificate with the number of hours clearly identified by the training institution or an official transcript from a Regionally Accredited Educational Institution to their academic advisor and complete the necessary documentation for submission. No in-service or mandatory re-training hours will be accepted for elective credit. Any certificate without the documented training hours will not be considered. A maximum of 21 elective credit hours may be awarded. The University recognizes credit recommendations established by the American Council on Education and published in The National Guide to Educational Credit for Training Programs. Credit is also recognized from the National College Credit Recommendation Service (NCCRS). A maximum of 33 hours may be awarded. Prior Learning is a term used by educators to describe learning acquired outside a traditional academic environment. This may have been through work experience, employer training programs, military training and experience, independent study, non-credit courses, volunteer or community service, and so on. Prior Learning Assessment (PLA) describes the evaluation of an individual's learning for college credit, certification, or advance standing toward further education or training. The Council for Adult and Experiential Learning (CAEL) defines PLA as follows: "The recognition of learning gained from experiences that may be granted credit or otherwise certified. The assessment of learning attained through experiences irrespective of the time and place in which they occurred" (Fiddler, Marienau, & Whitaker, 2010, p. 12). Fiddler, M. Marienau, C., & Whitaker, U. (2010). Assessing learning: Standards, principles, and procedures (2nd ed. ), Chicago, IL: The Council for Adult and Experiential Learning. In order to apply for experiential learning credits, students must enroll in the Prior Learning Assessment course that is offered each term in order to learn how and what to submit for review and consideration to receive Prior Learning credits. Faculty from colleges and universities across the country in each content area will evaluate prior learning portfolios and recommend credit awards. These recommendations will be recorded on a National College Credit Recommendation Service (NCCRS) transcript. The maximum number of credits for experiential learning which may be awarded to a student is 15 credits. Some types of experiential learning for which credit will be awarded include: Management and Computer Information Systems experiential learning gained through certificate programs or self-taught learning. Learners successfully completing the Prior Learning Theory and Practice course will receive 3 elective credits. Tuition for PLA 100 is $750. This can be covered through Financial Aid, if eligible. An additional $125 will be charged directly to the student for portfolio review and evaluation of up to 12 credits. For more information about the Prior Learning Assessment course and program offered by the Council for Adult and Experiential Learning (CAEL), please contact your Academic Advisor. Your Academic Advisor will be able to enroll you in this course. College Level Examination Program (CLEP) general examinations and specific subtests. Up to 40 credits may be earned through the general examinations. Information on CLEP or Advanced Placement Exams may be obtained by contacting www.collegeboard.org. Defense Activity for Non-Traditional Education Support (DANTES). Information on DANTES may be obtained by contacting www.getcollegecredit.com. In most cases, transfer credit is granted in accordance with scores recommended by the American Council of Education. However, there are specific exceptions in which the University requires a higher score than the recommended score in order to fulfill degree requirements. Students should meet with their academic advisor prior to taking any standardized tests. The maximum limit on standardized examination transfer credit is 40 semester hours. All such credit will be listed on the student's transcript and will not be removed once it has been added to the transcript. Saint Leo University accepts international students in all programs except for those offered at Education Centers located at military installations. Interested applicants should refer to "International Student Admission Policies ". The University is prepared to enroll a limited number of students who wish to take selected courses for credit but who do not wish to study for a degree. These students must complete a short application, which can be obtained from the Admissions Office at University Campus or from the Education Center where they wish to attend. Special/transient students need not provide transcripts from previous institutions except in cases where the course(s) the student wishes to take require prerequisites. In that case, a transcript showing successful completion of the prerequisite courses at a regionally accredited postsecondary institution must be submitted. Veterans eligible for VA educational training benefits must be in a degree-seeking status in order to be certified for VA benefits. A special student is subject to the same academic regulations and discipline as other students. Application for degree-seeking status should be made upon completion of 12 semester hours at Saint Leo University. Applicants denied admission to Saint Leo University may appeal the decision by filing a written request for review to the Assistant Vice President for Enrollment within 30 days of the decision. The applicant may submit additional documentation, which will be reviewed along with all previously submitted credentials. The applicant will be informed of the decision within 30 days of the receipt of the request for review. If it has been more than five years since your last registration at Saint Leo University, you must be readmitted. You will NOT be required to pay an application fee. For further information on the Department of Education's policy on re-admission for service members, please see www2.ed.gov/policy/highered/guid/readmission.html. Saint Leo University awards institutional, federal, and various state financial aid to eligible students who are enrolled in a degree program and attending at least half time. Financial aid is any form of assistance that helps to pay college education expenses. Scholarships, grants, loans, and student employment programs are all classified as financial aid. Scholarships are awards based on academic achievement, personal accomplishment, or community service. Scholarships do not require repayment. Grants are awards based on financial need and also do not require repayment. Student employment programs provide part-time employment opportunities to students. Loans are funds borrowed to help pay educational costs and do require repayment of principal and interest after a student is no longer enrolled at least half time. The upcoming sections describe the various types of available financial assistance, followed by the procedures used to apply for them. It should be noted that the information in the catalog is not all inclusive. 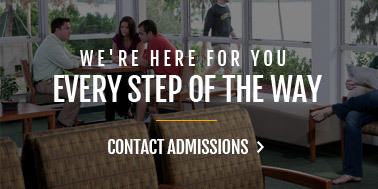 It is the student's responsibility to review all of the relevant information on the Financial Aid web section at www.saintleo.edu/finaid for detailed information. Direct Loan Program. All eligible students may receive a Direct Unsubsidized Loan regardless of financial need. Interest accrues on unsubsidized loans while a student is enrolled in school and during grace periods. When a borrower of any Direct Loan ceases to be enrolled on at least a half-time basis, a six-month grace period begins; then the loan goes into repayment on principal and interest. Graduate PLUS Loan. To help meet educational expenses, graduate students may borrow through the Federal Graduate PLUS Loan. This is a low-interest, long-term loan that is approved based on creditworthiness. Graduate students may borrow up to the difference between educational costs and the student's financial aid. Saint Leo Endowed Scholarships and Donor Scholarships. Saint Leo is fortunate to offer scholarships made possible through the generosity of various donors. These scholarships are awarded by the Financial Aid Office based on specified criteria. Students receiving endowed scholarships are requested to acknowledge this assistance by communicating appreciation to the donor. Endowed and donor scholarships may be used to replace previously awarded Saint Leo grant funds. Saint Leo Merit and Other Institutional Scholarships and Grants. Saint Leo extends scholarship and grant aid to students who meet specific criteria on the basis of academic merit, leadership, or other accomplishments. Students who are awarded institutional aid of any kind must maintain full-time academic status (12 credit hour minimum per semester) and meet standards of satisfactory academic progress in order to remain eligible to maintain any aid deemed renewable. State Scholarships. Applicants who are not Florida residents should check with their state scholarship agency regarding their eligibility for state aid. Alternative Loans. The Financial Aid Office encourages all students eligible for federal loans to maximize their eligibility before borrowing any alternative loans. However, if you must borrow an alternative loan, we recommend that you review many alternative loan lenders and research their policies and loan terms to decide which lender is best for you. Students interested in comparing private loans are encouraged to visit Saint Leo University's FASTChoice web tool to view a list of preferred lenders (www.saintleo.edu/privateloans). FASTChoice is not a lender; it is an independent, online loan comparison program. This interactive program provides loan counseling and basic information about borrowing for students interested in private lender options. Students can apply online for loans directly from this site. Students are free to select any lender they choose, including those not presented through FASTChoice. Institutional financial aid for international students is limited. Academic scholarships are available to international students on the basis of academic qualifications and will be determined at the time that the student's application for admission is reviewed. Generally, international students must show evidence of ability to pay all direct and indirect costs of attendance. Indirect costs include expenses not covered by tuition, including room/board, books, fee charges, travel, personal living expenses, and living expenses when school is not in session and the student is unable to return home. United States immigration law requires non-U.S. citizens who are not permanent residents to submit a Declaration and Certificateion of Finances form as proof that assets are available to cover all costs of attendance. Educational loans are available to international students through a variety of lending institutions. Virtually all require the signature of a U.S. co-signer. For more information, call, write, or e-mail the Financial Aid Office. Note: Financial aid (including scholarships) for U.S. citizens living overseas will be determined as for other U.S. citizens, that is, by academic qualifications and the results of the Free Application for Federal Student Aid (FAFSA). Financial aid is awarded on the basis of financial need, program requirements, and fund availability. Financial need is calculated using the Free Application for Federal Student Aid (FAFSA). Using the income and asset information reported, a measurement of the family's financial strength is calculated. This calculation is the estimated family contribution (EFC). The estimated family contribution is subtracted from the cost of education to determine the student's financial need. The cost of education is made up of direct and indirect costs. Direct costs include tuition and fees. Indirect costs include estimates for books, transportation, and personal and miscellaneous costs. Complete instructions are also available at www.saintleo.edu/finaid - click "The Financial Aid Process and How to Apply". Apply for admission. Admission to the University is required in order to receive a financial aid award. Also, students must also be enrolled in a degree-seeking program in order to receive financial aid. Apply for financial aid each year after October 1 at the FAFSA website (www.fafsa.ed.gov). Filing for federal aid is free—it is unnecessary to pay for assistance with filing the FAFSA. Accurate income tax information should be used and is accessible on the FAFSA website through the IRS data retrieval tool. Apply early! Financial aid funds are limited. Filing your FAFSA after October 1 but before January 1 increases the opportunity to receive scholarships and grant funds. The FAFSA can be filed before official admission notification. Filing for financial aid does not affect admission to the University. Estimated tax information is acceptable. Financial aid advisors are available to assist in the completion of the FAFSA. Students can "sign" the Free Application for Federal Student Aid (FAFSA) electronically by requesting a FSA ID at the FAFSA website. The an FSA ID will be sent to the student, usually within 24-48 hours, depending on whether the PIN is sent electronically or via mail. Use 2016 tax information for the 2017-2018 year. Use 001526 on the FAFSA as the Saint Leo Federal School ID. After the FAFSA is submitted, the applicant will receive a Student Aid Report or SAR. The applicant should review the SAR for accuracy. Corrections can be made online at www.fafsa.ed.gov or by calling the Department of Education at (800) 433-3243. The SAR will indicate if the student has been selected for "verification" by CPS. The student will be notified via email of what documentation is required to complete verification. Additional information is located at www.saintleo.edu/verification. Generally, financial aid cannot be awarded or disbursed after the end of the award year; therefore, timely submission of requested documents is imperative. New University Campus Students: All required documentation must be submitted prior to the last two weeks of your first term/semester. If you fail to submit the required documentation prior to the deadline, your financial aid package will be canceled and may result in a balance owed to the University. Any balance owed must be paid in full prior to subsequent registration, transcript release, or graduation. All Students: All required documents must be submitted prior to the last two weeks of your first term/semester. If you fail to submit the required documents prior to the deadline, you may not be eligible for financial aid. After the SAR has been received and reviewed by the Student Financial Services Office, eligible students will receive an award package. A student's award package is available for viewing via eLion. Enrollment: All financial aid requires enrollment. Pell and FSEOG grants are adjusted according to enrollment. Both grants requires at least half-time enrollment. *The National Student Loan Data System (NSLDS) must indicate that a student is not in default or owe a repayment of a federal grant before Saint Leo will award and/or disburse any federal or state funds to the student. Fund availability: Funding may change during the course of the year because some funds, have a limited amount of funds available. In order to accept the Direct loans offered on your award letter in estimated status, you must go to eLion at https://elion.saintleo.edu. Under the heading Financial Aid, click on Accept) My Financial Aid Awards. Deadlines: There are federal, state, and other deadlines that must be met in order to receive financial aid. Student Aid Reports (SARs) must be received prior to the last day of attendance in order to be considered for eligibility. However, students should apply as early as possible, as applications are processed based on the current volume. Students applying for a student loan must accept the loan at least two weeks before the end of the requested loan period in order to be considered for eligibility. Financial aid is disbursed assuming all requirements are met, within 10 days of the beginning of the term (8 week class) for term based students and 10 days of the beginning of the semester for semester based students. Requirements can include verification completion, enrollment, and program specific requirements. . A change in your status pertaining to any of these requirements can impact your eligibility for financial aid funds. Financial aid is disbursed directly to a student's eLion account. The funds are used to pay tuition and required fees, along with room and board, if applicable. Refunds are issued within 14 days from the date a credit balance is created. Refunds are issued in one of three ways as selected by the student: bank ACH transfer, paper check, or BankMobile debit card. 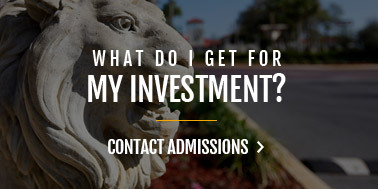 This complete policy is located at www.saintleo.edu/finaid. The Student Accounts Office is responsible for vouchering any financial aid funds in excess of tuition, fees, and other costs. All students receiving Federal Title IV financial aid, state aid or Saint Leo institutional aid must adhere to the university's published policy on satisfactory academic progress. The Higher Education Act as amended by Congress mandates that higher education institutions establish minimum standards of "satisfactory academic progress" for students receiving financial aid. SAP is evaluated at the end of each academic semester or after each set of two 8-week linked terms when grades are posted. The evaluation normally occurs two weeks after the end of the semester/term. For full details regarding Saint Leo University's SAP policy, details concerning the requirements listed above, and the complete appeal process, visit www.saintleo.edu/sap. In accordance with Federal Title IV regulations, federal financial aid is earned based upon the length of time that a student is enrolled. When a student withdraws from Saint Leo University before 60 percent of the term or semester has been completed, a portion of any federal loans or grants will be refunded to the federal aid program. This applies to students who withdraw, officially or unofficially, from all of their classes. The Federal Title IV refund regulations are separate and distinct from Saint Leo University tuition refund policies. For further information, please contact the Financial Aid Office. The advance payment for each semester is nonrefundable unless the student becomes academically ineligible. After classes begin, laboratory and special fees are nonrefundable. All regular charges are payable as billed. Students eligible for VA educational benefits may, under special circumstances, arrange for a deferment of tuition payments. Such deferment may be granted for one term at a time. It is the responsibility of the student to fulfill financial obligations to the University. Failure to do so may result in the student not being allowed to register in a subsequent term. Further information may be obtained from the University VA-certifying officials at University Campus or a regional Education Center. Grants and loans administered by the University are credited to the student's account in an amount prorated by semester or term. Outside scholarships: A student receiving an outside scholarship or other type of monetary award must present written evidence of the amount and conditions of the award to the University's Student Financial Services Office. When the award is presented to the University, the Student Financial ServicesOffice will credit that amount to the student's account. In certain cases these awards may be posted to the student's account as "pending financial aid." If the award is not received by the University, it will be removed. In these cases the student is responsible for all charges. Students on the Work Study Program are paid semi-monthly by payroll check for hours worked. A portion of a paycheck may be applied toward their tuition or fees; these funds are not automatically applied to student financial indebtedness. For reasons of nonpayment, the Student Financial Services Office may at times place a student on financial hold. Financial hold could consist of prohibiting registration, campus housing, class attendance, meal plan privileges, and all other student privileges. No transcripts, diplomas, certificates of attendance, or certain other official documents will be released if a student has financial indebtedness to the University. If a student is put on financial hold, the student should immediately contact the Student Financial Services Office at (800) 240-7658. Errors: The University reserves the right to adjust clerical or computational errors in the aid award. Unavailability of funds: Awards are made subject to available funds. The University reserves the right to cancel or modify awards if funds are ultimately determined to be unavailable to the University. All questions from Education Center students relating to charges and payments should be directed to the Education Center. Questions or concerns that cannot be resolved at the Education Center should be addressed to the Student Account Advising Department. All questions from Center for Online Learning students relating to charges and payments should be directed to the Student Account Advising Office. The University will not release transcripts, diplomas, certificates of attendance, or certain other official documents if a student has financial indebtedness. The balance on the student account must be zero for the student to be permitted the privilege of participating in Commencement and Baccalaureate exercises. By enrolling in and attending University courses, students acknowledge and agree that they are responsible for all charges incurred as a result of their matriculation and enrollment in the University. This includes late charges, collection agency costs, and attorney's fees imposed on delinquent student accounts. In many instances, some of the charges may be settled by a student's sponsor, employer, or other interested party; however, the student is ultimately responsible for his or her account. Unpaid balances are subject to a late fee of 1% monthly (12% annually). Late fees are assessed 60 days after term start. When a student leaves the University owing money, his or her receivable balance is placed in collection status. These accounts may be assigned to an external collection agency after 90 days past due. Transcripts and diplomas will not be released until the account balance is zero. The University is not responsible for loss or for damage to the personal property of students. In some cases, a homeowner's insurance policy carried by a parent/guardian may provide coverage for this purpose or can be extended to cover the student's personal belongings while living in the residence halls. Students are encouraged to examine their current policy or to secure personal property/rental insurance. Students are also encouraged to establish bank accounts at a local bank so they do not have large amounts of cash in their rooms. An ATM is available on University Campus. Refunds due students who have credit balances on their tuition account should expect funds to be issued within 14 days. Questions regarding refunds should be addressed to Student Accounts at studentaccounts@saintleo.edu.